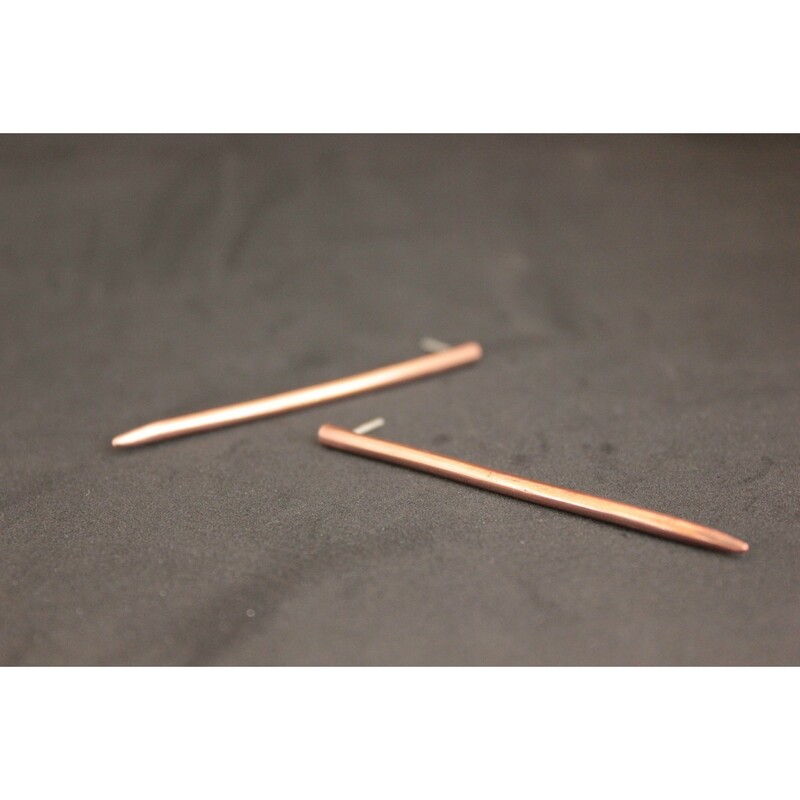 Bronze or copper spike earrings. Simple, elegant, edgy - dress up or down - every day wear. These are a hand made item. Please note that no two are exactly alike. Size: 2.5" (6.4 cm) long *Please choose your metal type.